-Comfortable 4 In. Thick Premium Foam Mattress (Included With The Bed). 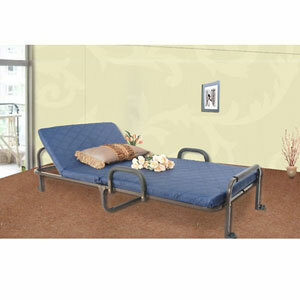 -Mattress and Cover is FIRE RETARDANT - Tested meeting USA and California Laws. Bed Measures: 77 In. (L) x 39 In. (W) x 18 In.(H). Chair Measures: 38 In. (L) x 39 In. (W) x 36 In.(H). Wt. Capacity is 300 lbs.